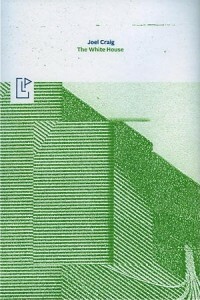 Two synchronous 2012 releases, Joel Craig’s The White House and Nick Twemlow’s Palm Trees, invoke the communal support Chicago’s Green Lantern Press evokes in its intimate independent practice: small groups collaborate in the sort of devotion that can only survive beyond the constraints of money, friends sutured together in the simple creation of works of beauty. Craig and Twemlow are longtime Chicago friends. Craig co-founded and curates the Danny’s Reading Series, and is the poetry editor for MAKE: A Literary Magazine. Twemlow now lives in Iowa City, where he writes and makes films. He also co-edits Canarium Books. 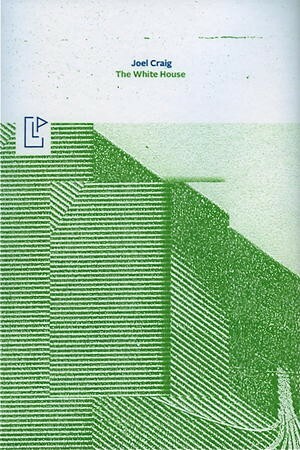 Because of Craig and Twemlow’s friendship, Green Lantern’s founder, Caroline Picard (who launched the Press and Gallery years ago, with pal Nick Sarno) released their respective books of poetry simultaneously, so the friends could tour together. No Green Lantern release is regular; every book steeps in curiosity, newness, the unexpected. Every release is bound with delicacy, according to the “slow media” approach, making each book a curatorial site. It feels limiting to call them books. They contain ephemeral inserts, silk screen covers; artist plates. If these books are siblings, then the narrators are brothers. Brothers teeming with empathy, brothers who have lost their own brothers to death or waking nightmares. Where the narrator of Palm Trees is a kaleidoscope of modernity—self-aware corporate drone, debaser with a heart of gold, wary of war and celluloid, seeking after some peace in this black helicopter-, karate-laden landscape—the speaker of The White House is gentle, quiet, and straightforward, craving a world in which people are kind to one another, say what they mean, love with their bodies rather than the “labyrinthine caverns” of their minds, so protecting themselves from the disembodied governing State. Watch it. Is this person genuine; is he who he really seems to be? on the grassy knoll as the lone gunmen sync their watches. If these narrators are brothers, they might even be twins, born in the same hour. For if there is any thread conjoining these two works despite their physical resemblance, it is their relationship to the cursèd, transcendent minute. For Craig, time is awry before the book even “begins,” starting with a “pause”; this same “pause” recurs again, further down the page, at the book’s mid-point; a final “pause” completes the text, at the page’s bottom line. in itself to frighten good, innocent people. but that’s not the half. There remains an apology that is due. How necessary it is we keep secrets. Memory only reminds me that I continue to forget things. 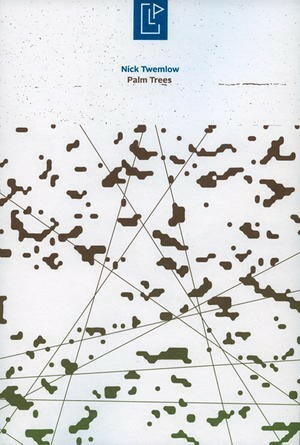 “Palm Trees,” Twemlow’s collection’s title “poem,” is a series of 21 short-shorts, a “hazardous fray of jump cuts,” a marvelous, streaming commentary on the cult of image, purveyed by the palm-laden landscape of America’s strangest city. Everything here is an establishing shot, and once something has been established, what happens next? I…woke up at the bottom of Lake Michigan clutching my manuscript…woke up in a clausal phrase you’d edit out. Soundtrack trimmed from the budget, and must go with the image alone. When I stepped onto the sidewalk today I heard a car backfire not as a gun. I heard it simply as a car backfiring. I was liberated. After I’m gone, who will stop to consider this awkward butterfly, slurring from tree branch to porch rail, that hawks the latent, indivisible dream, adrift in the history of air, its spastic circulars of flight, death nearing, as is its wont, and with that final swish of its wings, exactly nothing happens? But to me death is not—death is not a fearful thing. at the same time both observing and performing. above the garden pierces my heart. a face to look on, to focus on. a place for them in the subconscious mind. to be aware of what her feelings toward me really are. The bright, pulsing heart steeps through The White House in the way starlings flit through Palm Trees, the effect being to transcend a world that is out of synch, full of holes, absent of poetry. of it. The fire was no accident. tossed near. The wheel spins. on it. The owl is not signing it. Love is something you have to learn. August Evans thinks long and hard about that wild sound. http://augustevans.blogspot.com/.